How many times have you had a gut feeling about a decision you had to make but instead of following it, you listened to the opinions of others, only to find out in the end that you were right? With all the mindless and mind-numbing noise and chatter of radios, televisions, cell phones, and sirens filling our daily lives, we could all use a good dose of quiet to listen to our own inner voice. And then do what it says. Acclaimed psychic counselor Carole Lynne says that the spirit within you is your psychic nature, which connects with the Divine. 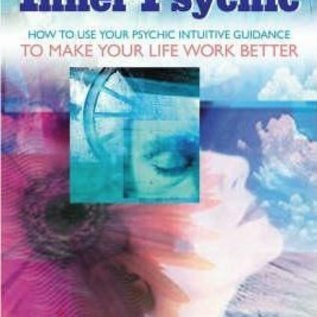 In Consult Your Inner Psychic, she provides a toolkit for tapping into that inner wisdom and soaring to a far better life—right now. Learn to unlock your own psychic powers with Lynne's trademark Psychic Intuitive Guidance Process, which includes the compelling Twelve Energies, Four States of Being, and 48 Messages. 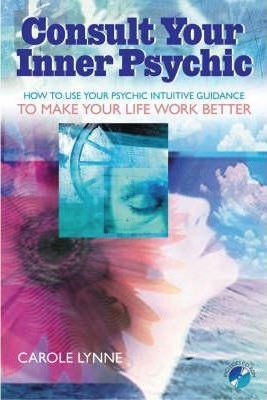 This remarkable book with companion CD offers two unique paths for learning the process: the Quick Start Approach, which will get you accessing your intuitive powers right away, and the Slow and Steady Approach, which helps you develop a deep wisdom that leads you to the ultimate goal of becoming your own psychic. Regardless of which path you choose, Lynne's message is powerful and life changing. You can improve your life immediately by listening to and acting on your own innate wisdom. Never again will you have to wait for anyone else's permission to lose ten pounds, fall in love, find a better job, or pursue your own deepest desires. You are your own best psychic. Plain and simple. And with Lynne's gentle guidance, you can begin to make better choices and ultimately transform your life.